Hola! I'm María Elena and I am so glad you found my little treasure! I'm a twenty-something year old working in Puerto Rico's Communications Industry who has a slight obsession with beauty products. 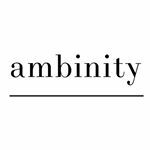 As many other blogs, Ambinity is a combination of my passions. I always loved lifestyle magazines and writing, so this blog was my natural way of documenting my -so called- creative journey towards finding bliss in life's simplest pleasures while fulfilling my life long dream of publishing my own work. Many people ask me what the heck does Ambinity means, so here you go: Is the combination of the words ambition and vanity. These are two things that I try to embrace everyday in real life and on this lifestyle blog. Because, let's face it! If you work hard for your money, you should treat yourself. Amirite? My mission is to not only help my readers be happier by being just a little vain (just a little, ok? ), but to encourage them to take care of their brains as well. This is why I interview people who have made it in their creative careers. Want to chat? Send me an email to [email protected], tweet me @elenarodrz or follow me on what I believe is my mini reality show: Snapchat (elenarodrz). Demographic data for @ambinity's audience is available for free to influence.co users.